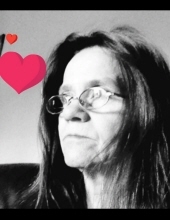 Dianna Gail Pigg, age 63, wife of Jerry Bishop died on March 31st, 2019 at her home in Lebanon, Indiana. She was born in Jonesville, Virginia on May 20th, 1955 daughter of the late Eugene and Pattie Sue Ayers Fee. She enjoyed canoeing, fishing, reading, feeding her chickens and watering flowers, but most of all she was devoted to her family and loved to spend time with her children and grandchildren. To send flowers or a remembrance gift to the family of Dianna Gail Pigg, please visit our Tribute Store. "Email Address" would like to share the life celebration of Dianna Gail Pigg. Click on the "link" to go to share a favorite memory or leave a condolence message for the family.